In Lviv region, the border guards of the Mostysk Detachment prevented four foreigners from illegally pass through the Ukrainian-Polish border to the EU countries. 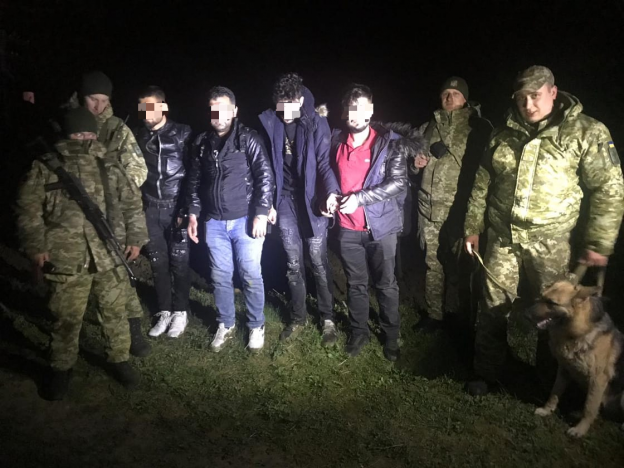 At night, the border guards of the BU “Shehyni” while patrolling the state border found four offenders, who bypassed the checkpoint and made their way to the neighbouring country. The law enforcers managed to detain unknown persons 50 m before the border. Four violators admitted that they were the citizens of Turkey, three of them had documents proving their identity. The detained violators were taken to the border unit. So far, there is clarification of all circumstances of the offense. This entry was posted in Translated Media-News from Ukraine on April 10, 2019 by oksana.